When there's a protagonist and an antagonist, there's bound to be some kind of heated rivalry between the two. Sometimes a rivalry will be friendly, but oftentimes it won't be. The following list is made up of my favorite ten rivalries in gaming. These have to do with characters merely and not companies. With my explanation out of the way, let's get to the countdown. 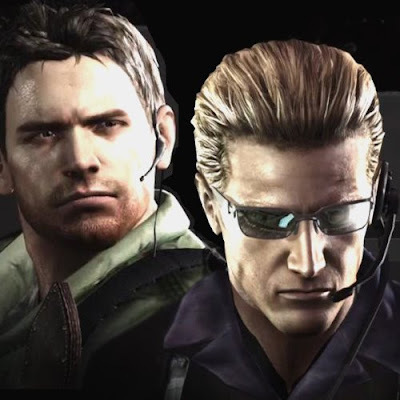 Chris Redfield and Albert Wesker were once a part of the same S.T.A.R.S. team that infiltrated a mansion in the original Resident Evil. Since then, Wesker grew hungry for power and had a lusting for blood. He has had a cameo in nearly every major Resident Evil game, and it all came to a head in Resident Evil 5 where he planned to unleash a virus for total global saturation. Pummeling a boulder out of the way in fierce fashion and propelling a rocket into the lava-bathed Wesker seemingly defeated the foe, thus ending this unfriendly feud. Appearing first in Super Mario Land 2: Six Golden Coins for the O.G. Game Boy, Wario took up residence in Mario's castle while our portly plumber was away, saving the day in the Mushroom Kingdom. It was Mario's assignment to unlock the door to his infiltrated and captured castle by going around the island, entering levels, beating bosses, and collecting all six of the fabled golden coins to enter his home, fight Wario, and take back his castle. Ever since Mario and Wario have constantly been battling it out in various sports games whether it be tennis, golf, baseball, or soccer, and they've tried to out-party the other in the Mario Party series. 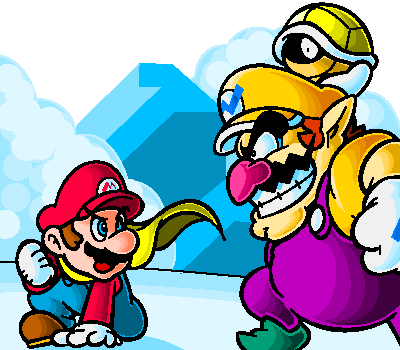 As long as there is a Mario spinoff to be had, Mario and Wario is a rivalry that will continue to blossom. A young Samus Aran watched helplessly as a flying dragon demon and leader of the dreaded Space Pirates in Ridley murdered her parents. Then raised by the Chozo who gave her a special Power Suit with numerous capabilities, Samus Aran grew up to become a bounty hunter with Ridley at the top of her list of hits. In Metroid: Other M (Wii), Samus was frozen with fear as Ridley roared onto the battle arena, taking out one of her former space academy friends. 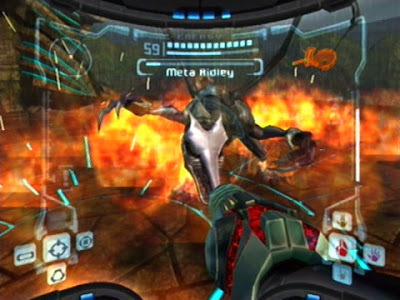 This scene is one of the most infamous in the game as it makes Samus look cowardly even though she had already beaten the Space Pirate leader multiple times in the past. It seems no matter what the femme fatale does, Ridley keeps coming back, making this rivalry an everlasting one. Dr. Thomas Light and Dr. Albert Wily were once comrades and fellow scientists. Then one day Wily stole some of Light's robotic creations and turned them on the city. Light had no choice but to build a robot with the ability to take Wily's Robot Masters down. 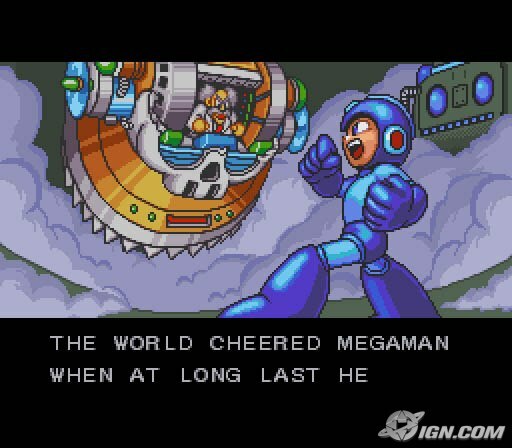 It was then Mega Man (or Rock Man in Japan) was born. Armed with the ability to copy the powers of defeated Robot Masters, Mega Man turned Wily's war against humanity in favor of the good guys. However, Wily always seems to get away in the end. After a brief hibernation period, Wily makes more robots for Mega Man to defeat, creates more hideouts, castles, and towers, and hatches more diabolical plans that Mega must thwart. A rivalry centuries in the making, the Belmont family constantly rubs up against the prince of darkness, Dracula. This vampire continuously gets summoned back from the grave by cults and criminals alike, and each time the Belmont clan puts him back in his coffin. Occasionally but not often, Alucard, Dracula's son, will take it to his father, but most often than not it is the Belmont family who spearheads the fight against the creature of the night. 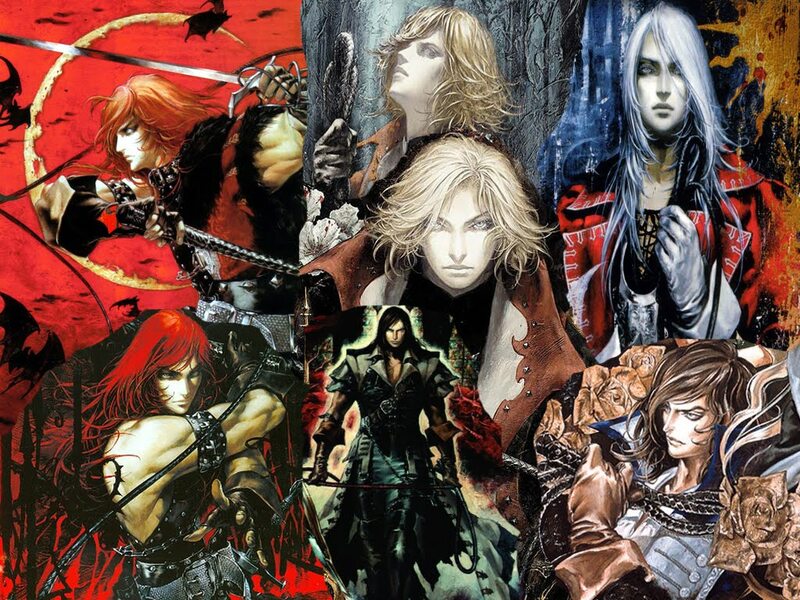 As long as there are Castlevania games, so, too, will there be Dracula for a Belmont member to battle. Whether you prefer to call him Dr. Robotnik or Dr. Eggman is trivial, but all I know is that this rivalry is celebrating its twentieth anniversary this year with Sonic Generations (PS3, 360, 3DS). Eggman usually has a plan to take over the world whether it's splitting up the continents, turning our hero, Sonic, into a werehog, constructing a gigantic Death Egg to obliterate Angel Island, stealing the Master Emerald, or continuing his grandfather's research. Sometimes in rare instances Sonic the Hedgehog and Dr. Eggman will be forced to set their myriad of differences aside and work together against a common enemy. These moments are just part of what makes the feud between these foes so gosh-darn interesting. These brothers share the same sensei, and thus mostly share the same move set. 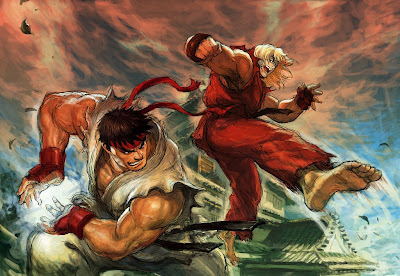 Ryu wears white karate gear and a red headband while Ken wears red karate gear and has golden, flowing locks of hair. This is the only strife that's of the friendly type on our list. Both train as hard as the physically can to outdo and outperform the other in battle. Whether they're both unleashing hadoukens or shoryukens, they share a common foe where they'll put aside their differences to fight. Even though they contest against one another, they often spar to themselves to strengthen their ties as brothers. The most popular feud in the Final Fantasy series, Final Fantasy 7's rivalry of Cloud Strife and Sephiroth is one for the ages. They have a lengthy history to both of them as they were both a part of the same military unit. With the awakening of Jenova and the learning of his troubled history, Sephiroth went off the chains. He mercilessly destroyed everything in his path, and he wants nothing more than to see the world burn. He entered the lifestream to summon enough power to do this task for himself. Cloud and friends put an end to his plans with a well-placed Omnislash limit break, but Sephiroth wasn't truly dead as viewers of Final Fantasy VII: Advent Children are well-aware of. 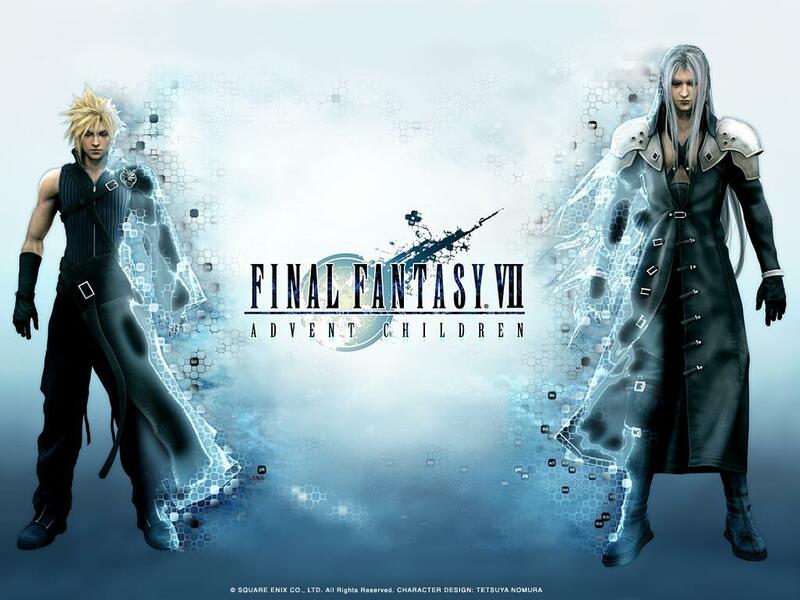 To this day players can duke it out as either Cloud or Sephiroth in the PSP Final Fantasy franchise of Dissidia. 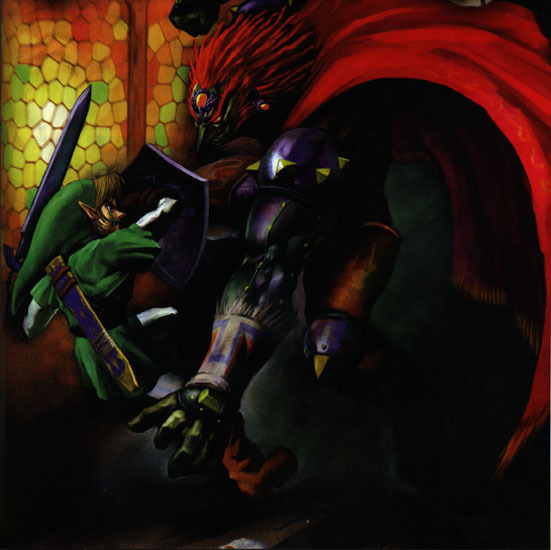 Whenever there is a legend of a hero that slays a dark beast, you can bet that that legend is referring to Link and Ganon. They've been pitted against one another in the original Zelda, A Link to the Past, Ocarina of Time, Four Swords Adventures, Oracle of Ages/Oracle of Seasons, The Wind Waker, and Twilight Princess. Each encounter is more epic than the last with the human form, Ganondorf, usually transforming into the boar-like demon, Ganon, as a last resort to defeat Link. Seeing as The Legend of Zelda is one of the most celebrated series in gaming even after twenty-five years (celebrating its anniversary this year with Skyward Sword), it only makes sense that this rivalry makes number two on our list. Who else could it be but Mario and Bowser? From their humble beginnings as Mario races under a leaping Bowser to release the bridge and send King Koopa to the lava below to more recent encounters such as roaming a small planetoid while Bowser spews out ferocious fireballs at our hero, Mario versus Bowser is the epitome of a gaming feud. 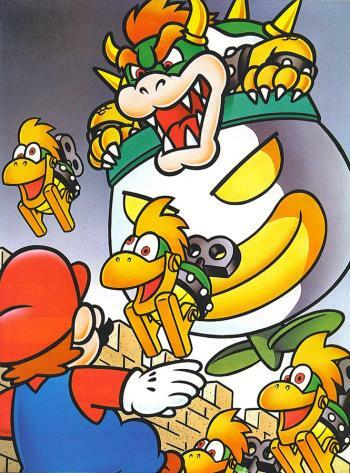 They've done battle where Bowser ground pounds bricks until he falls to his doom, where Mario grabs Bowser's tail and flings him into a floating mine, and where Mario chucks Mecha-Koopas up, over, and into Bowser's flying clown car. While the clashes aren't all difficult, they certainly aren't forgettable in the least. As long as Bowser keeps on kidnapping the princess, Mario will be following closely behind to rescue her and give Bowser his comeuppance. Honorable mentions go to Liu Kang and Sheng Tsung, Mario and Donkey Kong, Donkey Kong and King K. Rool, and Mega Man X and Sigma. I must have left your favorite feuds out, so let me know which ones were cast to the wayside in the comments section.